Thanks to corruption, poor management, sponsored sabotage and fake news/barriers created by competitors/importers afraid of competition, professional litigants, many Nigeria’s industrial initiatives have either collapsed or were abandoned. Nigeria’s steel industry is one of the key economic sectors abandoned by the past administrations in the country, and no reasonable government can afford to see such huge investments go into waste. Since the Buhari administration was elected into office in 2015, the country has witnessed a rigorous and well-focused commitment to revive the country’s abandoned industrial projects. The steel industry is one of the major pillars of Nigeria’s economic diversification efforts. Undoubtedly, the Buhari administration has demonstrated a real commitment to this national endeavour. Local production of steel will significantly reduce Nigeria’s importation of steel and save Nigeria a minimum of US$3billion dollars in foreign exchange per year. In a world that has grown furiously competitive, no nation can afford to rely on one export commodity. It is, in fact, no longer safe for Nigeria to depend entirely on oil as the main revenue earner. One of the key objectives of privatization is the desire to achieve efficiency and profitability. Besides, the success or failure of privatization also depends on the technical experience and competence of the investors taking over public enterprises. Premium Steel and Mines Limited, fully owned by Nigerians with 50 years of successful track record in key sectors & major Industries of the economy is making impressive progress in terms of achieving Nigeria’s economic diversification initiatives. According to the Managing Director and CEO of Prasantra Mishra, Premium Steel and Mines Ltd, will produce 50 per cent of Nigeria’s steel needs in the first phase of manufacture. With its facility at Ovwian, Aladja, Delta State, the company has pledged to meet more than 50 per cent of steel products need during the first phase of production. Premium Steel has been allocated Iron ore mines in Kogi and will commence mining soon. Mr. Mishra, who announced this at the official commissioning of the steel and mining facility, said it was high time “Nigeria, sustainably and inclusively converged with the rest of the world to enhance industrial and GDP per capita income. Mr. Mishra explained: “We are touching the lives of the local communities, particularly through accessible and affordable healthcare, employment, women empowerment, education and sustainable development. It is not enough for investors to make profits, but they should also make positive impact on the lives of the communities where they serve. In line with this objective, Mr. Mishra noted that his company is committed to Nigeria’s industrial and economic revolution to lay the foundation of efforts to address poverty and inequality by creating job opportunities, and wealth creation. 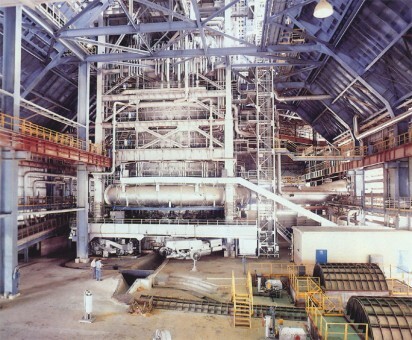 The former Delta Steel Company, which was estimated to produce 1.2 million tons of various steel products per annum, is currently being ably and efficiently run by Premium Steel and Mines Ltd. Backed by sound experience, these Nigerian investors have remarkably transformed the former Delta Steel Company into modern industrial success story. The company is now retooled with state-of-the-art equipment and “it is ready for competitive production as the wheels spin once again”. Ranked as one of Nigeria’s best steel mills to produce the BS 4449 grade steel, Premium Steel has the capacity to produce high capacity and quality products to be used for high-rise buildings, bridges, flyovers, malls due to its tough mechanical and remarkable strength. According to Dr. Fayemi’s Road Map for development, his Ministry is capable of contributing $27 billion dollars to the country’s GDP. According to Fayemi’s road map, Nigeria aspires to be Africa’s mining mineral processing centre for 2016 and in 2020; it seeks to make Nigeria compete in the global market for refined metals and minerals from 2018 to 2030 with the ultimate goal of achieving globally competitive mining sector. The post Reviving the Steel Industry for Economic Development appeared first on Vanguard News.